Thanks to the lads for the help. Dub13, redabbey, GaryMc and 5 others like this. Enjoyed doing it Saturday. Cheers everyone involved. Dub13 and redabbey like this. The flag is now in the corner with the rest of the Spion Kop 1906 flags. The flagpoles have been left in it so there is very little work/time involved in set up. I wont be at many games between now and end of season. Let's definitely try to get it out for every home game. So if you can help out, message in here. northside red, Dub13, xRedmanLFCx and 2 others like this. Great to help out with the lads on Saturday! Dub13, redabbey and GaryMc like this. Good work lads, anytime the banner is out it goes down great online. Is anyone planning on having it out for Watford? Sib, Dub13 and LFCS8 like this. Quality, on the kop every game isn’t it? Yeah, just needs lads to put there name down here to help out, needs 4 per game for it to be out. If there's anyone experienced in doing it, I'm on the kop for Watford and would love to be involved. Burnley. We have 3 already (Myself, my Dad and a mate). 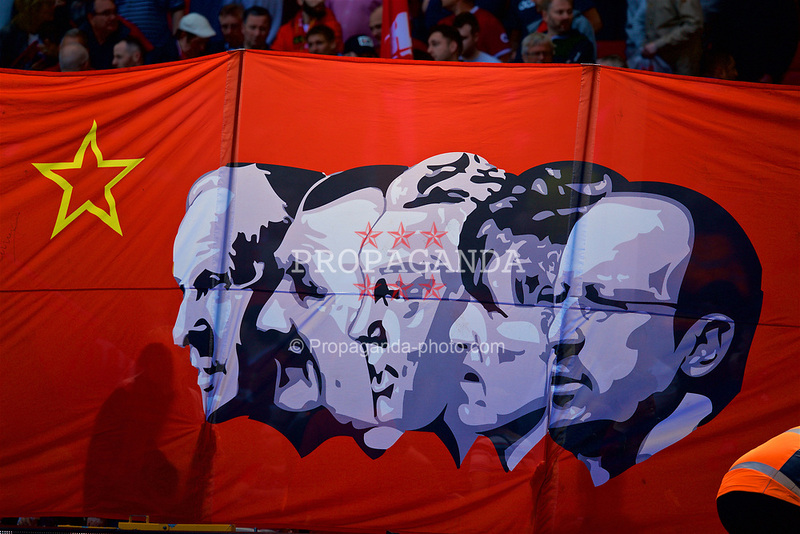 Anybody else fancy joining us down the front of the Kop? GaryMc and Dub13 like this. dk.lfc, Dub13, GaryMc and 4 others like this. i've 2 lads who want to do this for Spurs paul please. Good stuff, just the 2 more needed. Not there tomorrow myself. We all sorted? 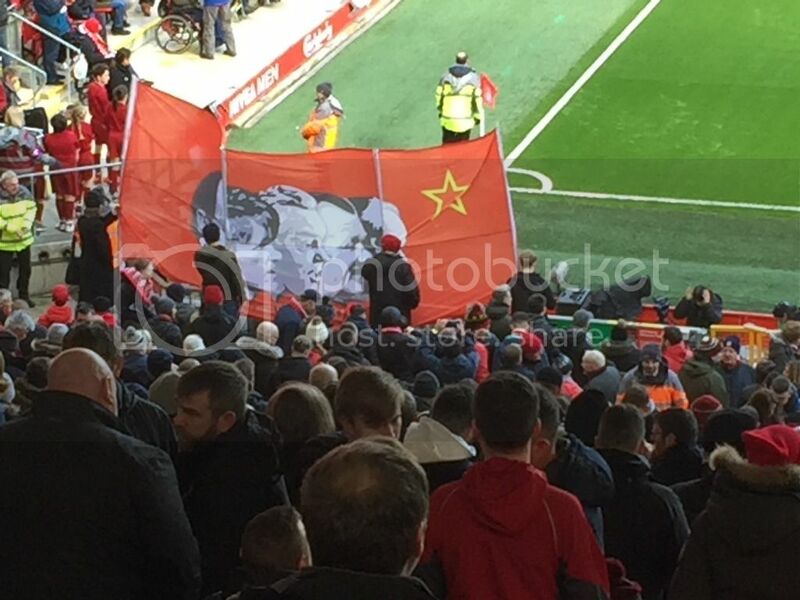 The flag is in the corner with the Spion Kop 1906 flags. If you ask Sam, he'll sort you out. We will probably have to look at getting new poles at the end of the season. Right now, one pole is shorter than the others so it just needs to be held up in the air. northside red, xRedmanLFCx and Dub13 like this. Well done to the lads who got it out. Yeah good work all, seen it on the TV.